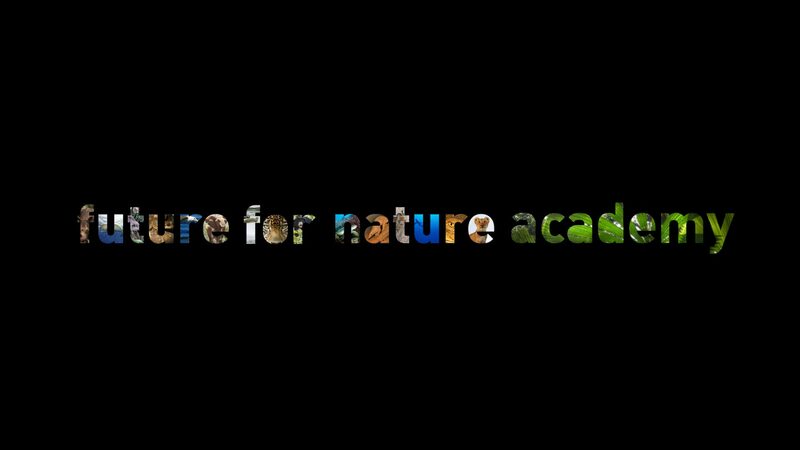 Conserving and protecting a marine habitat is one thing, but protecting the seas, while sailing across it, providing jobs to unemployed young people and creating a platform where navy veterans can share their experiences with the rangers that protect the sea? That is conservation on a whole new level. Impossible, you say? Not for Wietse van der Werf. His Sea Ranger Service (SRS) aims for all these goals. Last week, when I met the sea rangers in person for the first time and learned more about the unique method of the Sea Ranger Service, I was struck by its innovation. 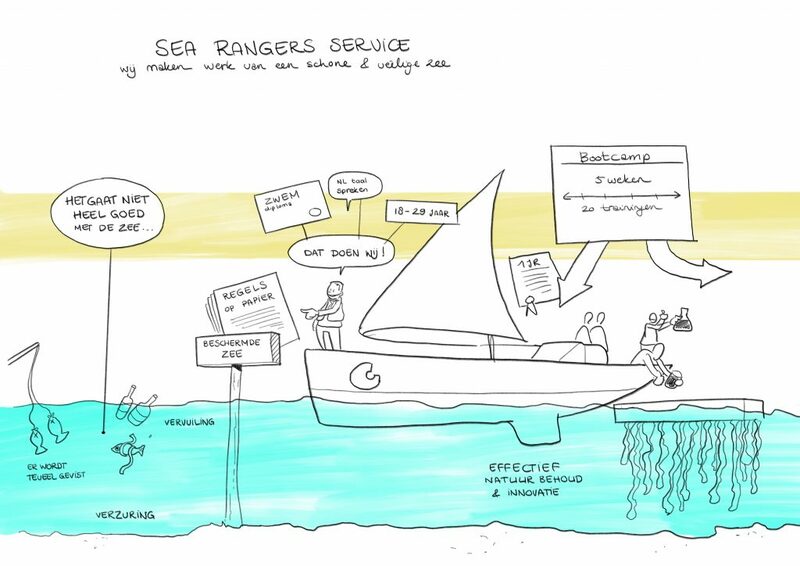 A short yet accurate description of the Sea Ranger Service (in Dutch). Drawing made by Freya Ruijs. Let’s start with the eyecatcher of the Sea Ranger Service: the ship. ‘Why would you prefer a sailing boat instead of a motorised ship?’ is one of the most frequently asked questions to the SRS team and if I’m honest, I was surprised by this choice as well. The answer to this question is actually pretty simple: because they can. They want to show the world that you don’t need a motor boat per se to patrol on the oceans and seas. The biggest advantage is (obviously) the low fuel usage and thus the lower costs. The SRS will be hired by governments, research institutions or companies to work on a variety of tasks. Since they will save a lot of money compared to motor boats, they charge a lot less for the operations and are therefore economically very interesting for the clients. Besides, sailing ships have a very green image. Of course, you do need speed to react in some specific cases. When Greenpeace wants to enter whaling ships or oil platforms, for example, they use very fast rib boats to make it easier to deal with such a hectic situation. A sailing boat wouldn’t be able do the job. That’s why the SRS focuses on other jobs. ‘But what is it what the sea rangers are going to do on the North Sea?’ Another question that popped up in my head. Since this will be the very first sea ranger team that will actually go out there, it is a bit hard to predict. It all depends on what assignments they get. The Sea Ranger Service can be hired to check oyster banks or windmill farms, facilitate research expeditions or report c. On top of that, the sea rangers will play an important part in the surveillance on sea. They’ll be out there all the time, which makes it relatively easy to check on the status of the marine ecosystem and its users and report to law enforcement services (with their high-speed boats), if needed. So even in this situation, a sailing boat suffices. The type of work will also depend on what the boat turns out to be capable of. Localising and reporting ghost nets won’t be that much of a problem, but it will be impossible to take these enormous piles of net on board. A sailing boat simply can’t carry such a load. Remember this is the very first time that a sailing boat will be used for a patrol service! Like other start-ups (in conservation), it will be a matter of trial and error. The coming year is going to be very valuable in terms of learning about the possibilities of the Sea Ranger Service, especially the possibilities of the ship. By figuring out the strengths and weaknesses of the ship and the crew, the SRS will be able to improve for the next year. 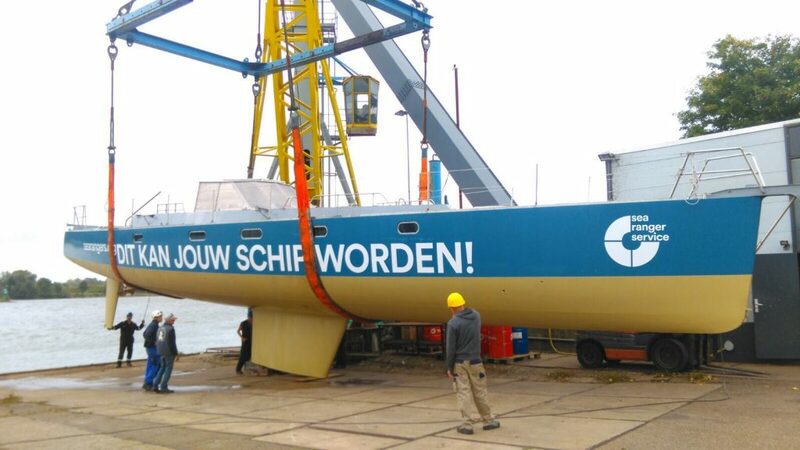 The dream of Wietse and his team is to have a global fleet of sailing boats, specifically designed for the conservation needs on sea. The 12 people that have become world’s first Sea Rangers! But who will be the crew on this fleet? Who are these so-called Sea Rangers? At first, the 12 persons that may call themselves Sea Rangers for the coming year look like a random group of youngsters. But reality has it that the Sea Ranger crew is selected after a very intense bootcamp of five weeks. Basically, everyone is allowed to sign-up for the bootcamp, but special attention is given to unemployed youth. 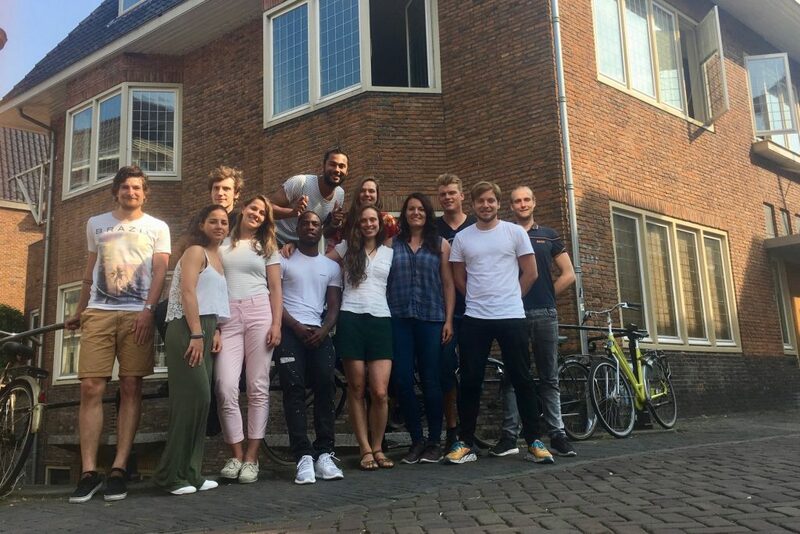 This year, six unemployed persons from Rotterdam joined the bootcamp, of whom one guy even made it to the Sea Ranger team! The participants of the bootcamp were trained in practical skills like diving and sailing and obtained knowledge in marine biology, first aid and media performance. During the bootcamp, the participants receive a lot of certificates, proving that they really mastered those skills. This evidence helps them a lot in finding a new job, even if they haven’t made it to the Sea Ranger team. The bootcamp is a kickstart in their job search and is very useful for the unemployed youngsters, although there are more parties benefiting from the bootcamp. Part of the training is given by navy veterans, which actually makes a lot of sense. The veterans have a lot of knowledge, skills and experience, but have no one to share it with. During the bootcamp they can share their knowledge with dozens of young people, who are eager to learn about working on sea. A double win! This social aspect of the SRS is even more a validation for governments to collaborate with them, since they are the only marine patrol service that also tackles youth unemployment. You see that it actually might be possible to achieve all the goals I mentioned before? Although I was already quite impressed by the ambitions of Wietse and his team, but even more by how far they’ve already come. It was great to actually meet the people that will be out there soon to take care of our precious sea and I believe they will do a great job! Somewhere in October I hope to be back at the Sea Ranger team, to see what work they are doing by then. I hope you have become just as excited as me about this unique project. You can follow the development of the Sea Rangers and the SRS via searangers.org and on their Facebook and Instagram pages. Oh, just one more thing. If you think this is so cool that you would like to become a Sea Ranger as well, you can! In 2019 there will be a bootcamp again, in which you can showcase that you have what it takes to be a sea ranger. And maybe, next year, you will be one of the lucky few!